Find free classifieds for Other property for sale for sale or to buy in Orissa. FREEADS in India offers you a platform to post free advertisements or classifieds for Other property for sale, Orissa. FREEADS in India helps you search, find, buy, sell, rent or hire in various categories like apartments, goods for sale, local services, cars , jobs and many more in Orissa. Shown below are ads available in Other property for sale, Orissa. You can use search box above to refine your search. To know more contact http://bhubaneswarproperty.in/project/arnapurna-tower/index.html or call 9090212121. The Foundation stone of Bhubaneswar was laid down by our first Prime Minister Pandit Nehru. Since from then it has been a city of happenings. It is growing in leaps and bounds. Now, it is one of the planned cities of Modern India. To know more contact http://bhubaneswarproperty.in/project/tata-housing-ariana/index.html or call 9090212121. On the auspicious occasion of Ganesh Pooja, we are happy to announce ourIntroductory offer for first few units at Ariana. A hop skip and jump away from the city yet secluded there's a bud of new age living blooming and its centre is Ariana - a luxurious residential offering from Tata Housing. To know more contact http://bhubaneswarproperty.in/projects/sterling-galaxy/ or call 9090212121. “STERLING GALAXY” is a new offering from SMR Infra-Ventures Pvt. Ltd( ISO 9001:2008 Certified ). which is conveniently located near Sundarpada. We offer best return on investment to our valued clients as well as offer true value through our high quality standards. To know more contact http://www.bhubaneswarproperty.in/project/rabindra-plaza/index.html or call 9090212121. A luxurious residential apartment project Rabindra Plaza launched in the heart of the city. The proposed location is just a walking distance from Kalinga Hospital, Hemalata Hospitals and Research Centre, Regional Medical Research Centre (RMRC), Aditya Care Hospital, East Coast Railway Head Quaters, Ortel Office, Hotel Suryansh, OMFED, Chandrasekharpur BDA Colony etc. To know more contact http://bhubaneswarproperty.in/projects/trident-galaxy/ or call 9090212121. Trident galaxy gives you the opportunity to experience luxury like never before. The serene breeze, the tranquility gives you heavenly feeling. The exotic conclaves, the plush club house and the most modern amenities for your recreation make you feel contended. To know more contact http://bhubaneswarproperty.in/projects/sudarshan-vatika/ or call 9090212121. The project “Sudarshan Vatika”, which is situated at Mendhasala, is 10 kms away from Fire Station, 12 kms from Airport, 15 kms from Bhubaneswar Railway Station, 12 kms from Khurda Railway Station, 10 kms from Baramunda Bus stand, 8 kms from Sum Hospital and AIIMS, close to Infosys – II, surrounded by so many engineering collages like BEC, Mahavir, GITAM, GIFT, Gurukul, MIT, IIIT, ASBM Nalanda, nearby NH Bypass (State Highway) and also so many housing and residential flats. To know more contact http://bhubaneswarproperty.in/projects/vipul-greens/ or call 9090212121. Vipul Group has been launched their second Bhubaneswar based project which a premium apartment project for high income group . Vipul Greens Bhubaneswar apartment consists of 3 BHK and 4 BHK flats having all luxurious facilities. To know more contact http://bhubaneswarproperty.in/projects/anant-sai-enclave/ or call 9090212121. Anant Sai Enclave is approved by BDA (Bhubaneswar Development Authority) with highest quality of construction , proper communication & excellent addresses of finest living at affordable costs.Anant Sai Enclave is situated besides the most vital nandan kanan road of bhubaneswar city and are neighboring maximum important schools, it offices, corporate sectors, hospitals & shopping mall. To know more contact http://bhubaneswarproperty.in/Northern-Heights/ or call 9090212121. It is located at Kalarahanga, to the north Bhubaneswar very close to Patia Big Bazaar offering everything a family needs. Added to this the exceptional quality, finish and value provided by DN Homes who has over the years completed residential projects it is the pleased customers of it who speak for us. To know more contact http://bhubaneswarproperty.in/project/gatikrushna-lagoon/index.html or call 9090212121. Almost surrounded by heritage sites -- Rajarani Temple, Brahmeswar Temple, Bhaskareswar Temple, Megheswar Temple, Siridi Sai Temple and Chousathi Jogini Temple -- the 4.5 acre landscape provides the right ambience for peaceful living. To know more contact http://bhubaneswarproperty.in/projects/krishna-priya-residency/ or call 9090212121. THE PROMOTERS are proud to present “KRISHNA PRIYA RESIDENCY” , a well located “ efficiency homes” project giving high value for money to their esteemed customers. KRISHNA PRIYA RESIDENCY is located on a very prime spot , on the National Highway less than 10 minutes from Khandagiri Square. To know more contact http://bhubaneswarproperty.in/project/surekha-vatika/index.html or call 9090212121. Surekha Builders & Developers Pvt. 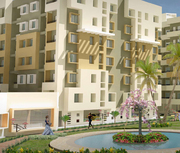 Ltd. launches their new project known as Surekha Vatika at Hansapal, Bhubaneswar. Located at a distance of 5 km from citys centre the project aims to provide a premium lifestyle to the end users. To know more contact http://bhubaneswarproperty.in/project/sahara-grace/index.html or call 9090212121. It is our privilege to introduce Sahara City Homes - Bhubaneshwar Grace a well planned, self sufficient premium luxury housing project from Sahara Group located amidst lush greenery and the picturesque temples of Orissa. To know more contact http://bhubaneswarproperty.in/projects/dn-oxypark/ or call 9090212121. Before telling about our project DN Oxypark first know something about the developer. DN Homes Private Limited incorporated in the year 2004 has been defining the lifestyles for the people across the country and overseas and has gained immense popularity as specialized and professional group moving with a vision in giving a global touch to the State. Premium residential apartments for sale in Bhubaneswar. Come to DN OxyPark and celebrate life amidst the sub-tropical gardens, lovely waterscapes around each tower and the clubhouse with swimming pool. For booking call to 09937125536/0943842541.. Premium Apartments for Sale at Dumuduma, Bhubaneswar. Well-planned 300+ spacious apartments with uninterrupted views, edge balconies, flexible rooms and luxurious amenities. For booking please call to 09937125536/0943842541.. Premium apartments for sale at Bhubaneswar where design spells out a great lifestyle and the attention to every detail creates a tailor made home that is exclusively yours. Come and witness for yourself, inspiration in every brick and carved to perfection with imagination and would be a manifestation of quest for architectural excellence. Well furnished and beautifully designed 3 BHK, 4 BHK apartments for sale near Gothapatna, Bhubaneswar. It’s a home where design spells out a great lifestyle and the attention to every detail creates a tailor made home that is exclusively yours. Call to 09937125536/0943842541 for details..
Acropolis apartments for sale near Gothapatna, Bhubaneswar @2100 sqft. Come, live at Acropolis and witness for yourself, inspiration in every brick and carved to perfection with imagination and would be a manifestation of quest for architectural excellence. Call to 0674 - 3011666 / 3204083 for details. 1100 sqt 2bhk flat for sale in Patrapada, BHUBANESWAR. 1100 sqt 2bhk flat for sale in Patrapada near to SBI Bank @ Cheapest price @ Just Rs.2800 Per sq.ft (Nego). For more details call: Raj: 09040404420 or mail on to raj.jayaguru@gmail.com..
F & P, Bhubaneswar brings * DUPLEX of 13 lakhs and gives guaranty of 26 lakhs pay back. *secure INVESTMENT FACILITIES like you have never seen before. so try it and be part of it. http://friendsparibar.com/. India ads for Other property for sale, Orissa, Other property for sale free ads Orissa, Other property for sale for sale Orissa, Other property for sale to buy in Orissa. This page is a classified ads listing for Other property for sale Orissa. This listing includes classifieds for sale and to buy in Orissa. If you posted an advertisement on Other property for sale, Orissa before please use Edit my ads button to change or cancel your ad. Other property for sale Orissa ads Orissa, Other property for sale classifieds Orissa, Other property for sale free ads Orissa, ads for sale Orissa, ads to buy Orissa, FREEADS in India. Find here ads for sale, to buy and rent in Orissa. Goods for sale in Orissa, vehicles for sale in Orissa, Orissa real estate for sale, Orissa property for sale, property for rent in Orissa, business ads in Orissa, Orissa business classifieds, services in Orissa, Orissa services ads, jobs in Orissa, pets for sale in Orissa, Orissa dating, Orissa cars for sale.